I didn’t actually get a full picture of my outfit on Sunday. This is a shame because the Zara Kimono I am wearing is so gorgeous I could stare at it for a lifetime. 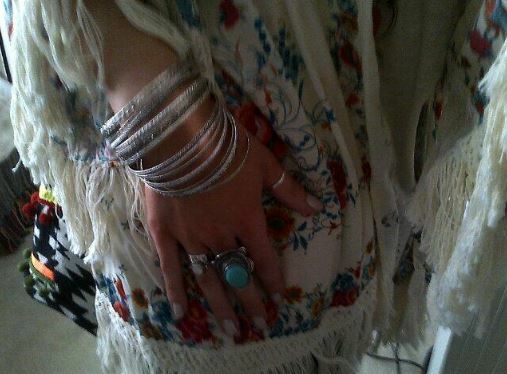 I hope this little pic give you the idea of the outfit… kimono, fringe detail & tons of jewellery!